Ms. Ravich started with “I am not a big fan of the information revolution.” That’s a gutsy start given the crowd. But fortunately we were all drowsy, no one reacted. Technically, she was one of the best speakers–she spoke clearly and slowly, her argument was logically organized, she told a good story, and used a powerful myth as a supporting metaphor for her point. Ravich goes on to explain the assertions above with an example from the Bush (43) administration dealing with the challenges of nation building in Afghanistan. Afghan was growing a lot (most) of World’s opium poppies. I am sure this caused many economic, border, organized crime, monetary, etc problems. But Ms. Ravich’s explanation for why this was bad was that it offended our national pride. So, we decided to destroy the poppies. This did not endear us with the farmers nor stop them from growing poppies. I am afraid I heard something a little like this… Look, we are good at making gut decisions. We can make them fast. We feel and act confidently about them. But you guys didn’t make the proper context for our heuristics and biases so they didn’t reflect reality. Do better next time. On one hand, fair enough. That’s the job I signed up for. But it also seems there is room here for more responsible accounting for biases on the part of the decision makers? And that sometimes means wading through boring data and trying to understand something you don’t already understand. Everything is Obvious – How knowing how it makes sense is different for human behavior than for rockets. At Gnip, we parse about half a billion JSON activities from our firehoses of social media every day. Until recently, I believed that the time I would save parsing social activities with C++ command line tool would more than justify additional time it takes to develop in C++. This turns out to be wrong. 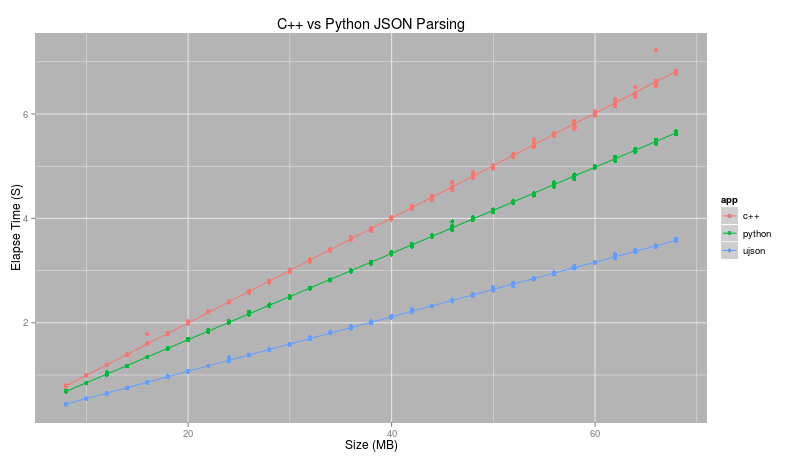 Comparing the native JSON parser in Python2.7 and the UltraJSON parser to a C++ implementation linked to jsoncpp indicates that UltraJSON is by far the best choice, achieveing about twice the parsing rate of C++ for Gnip’s normalized JSON Activity Stream format. 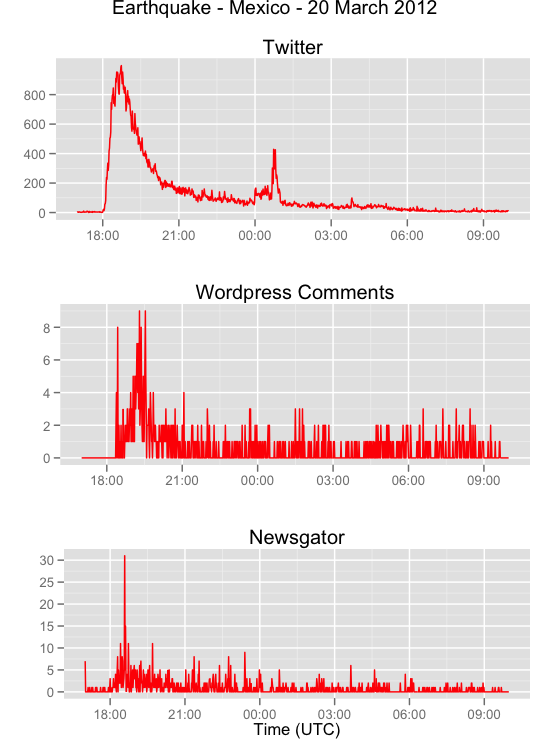 UltraJSON parsed Twitter activities at near 20MB/second. Additional details, scripts, data and code is available on github. In my last post I compared dp-means and k-means error functions and run times. John Myles White pointed to some opportunities that come from being a continuous variable. Evolving the test code I posted on github, I developed a quick-and-dirty proof of concept. 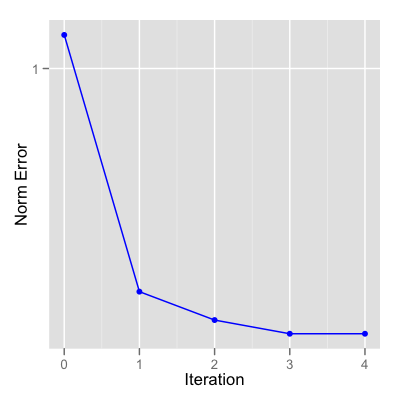 I am plotting errors for a data set not used in training (called cross-validation in the code). The cost function for dp-means shows a clear minimum. 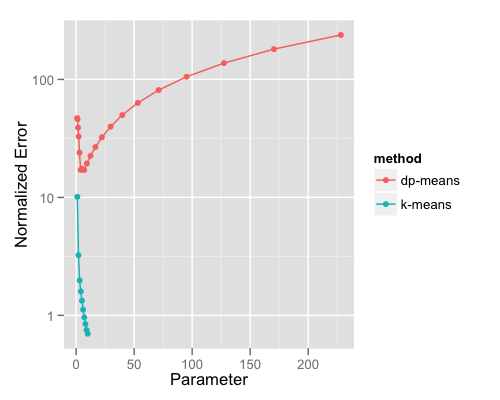 This graph is slightly confusing because the parameter for k-means, k, the number of clusters, increases left-to-right, while the number of clusters in dp-means goes down with increasing parameter . 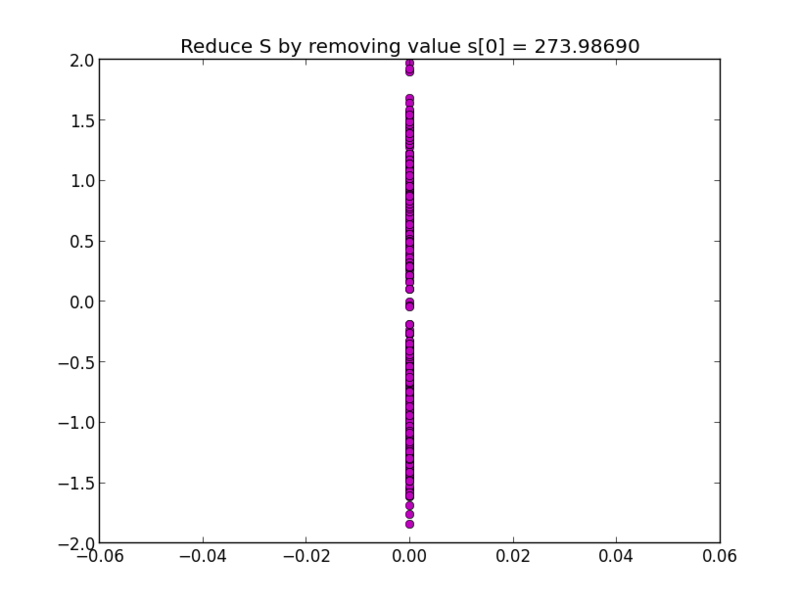 I wrote a small script that leverages SciPy to optimize the dp-means cost function in order to determine the optimal value of , and therefore the number of clusters. data membership, cross-validation data membership. The code is rough and inefficient, but the method seems robust enough to proceed to work on smoothing things out and run more tests. Neat. In what ways could dp-means be an improvement over k-means? Parameter choice. 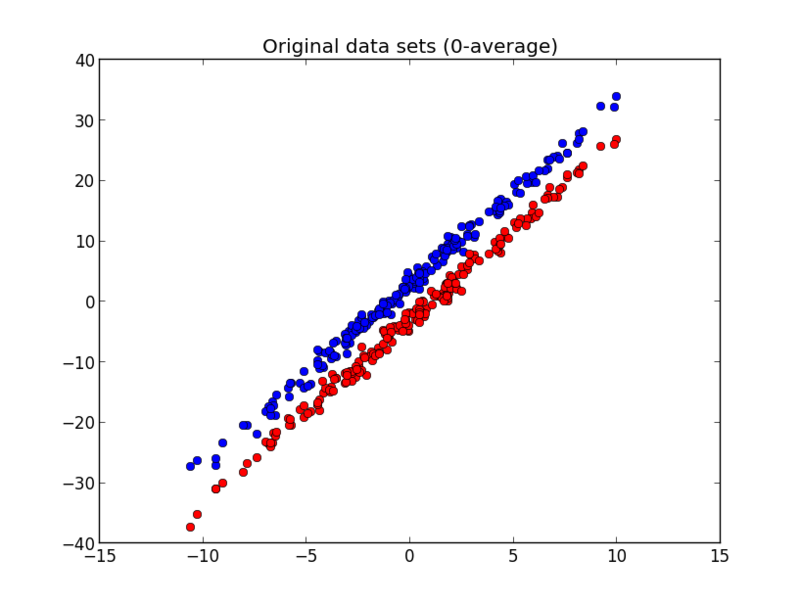 The scale of the upper and lower bounds can be calculated from the data. In general, we can bound at the high end with the range of the sample data and at the lower end, some measure of the nearness of the nearest data points, or possible, the smallest expected cluster size. Time cost to minimize error. K-means time cost is approximately linear in k, and at first glace the time-scaling of dp-means with number of clusters (not with ) appears to scale linearly as well (with dp-means, smaller corresponds to more clusters), but it is not clear that this is better or worse than k-means in practical cases. There are no proofs here, just numerical exploration and intuition building. I coded dp-means in Python in a way that let me leave as much common code between k-means and dp-means and get lots of diagnostics. These implementations aren’t optimized. The code and examples shown here are available on github. 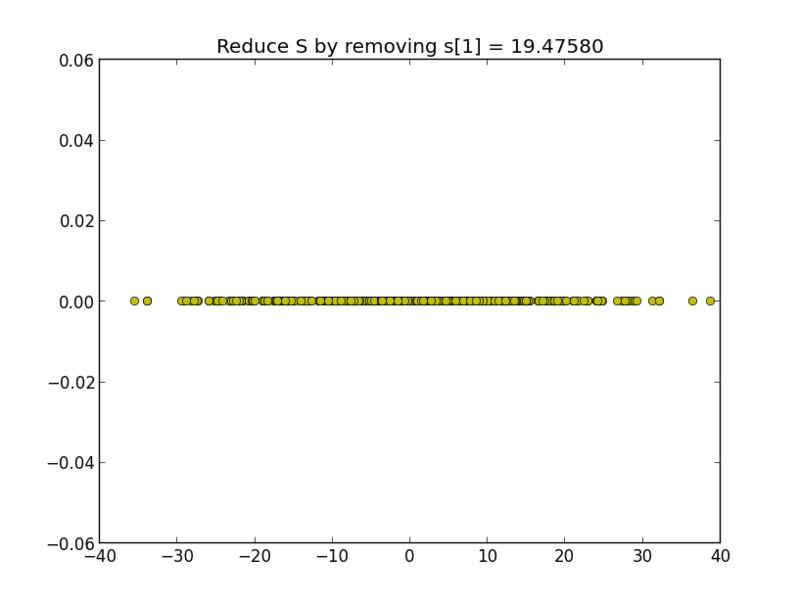 In my versions of by k-means and dp-means, the algorithm stops when the change of error between iterations drops below a pre-defined tolerance. Download the code and play with training dp-means with varying scale parameter to see how decreasing increases the number of clusters. Ok, let’s get on with the comparison…in this example, we have 3 features and 5 overlapping clusters. 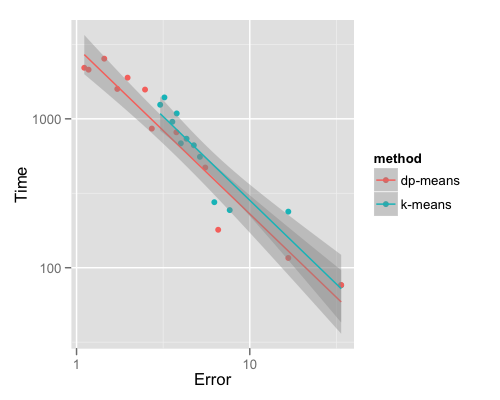 The error vs. parameter plots for dp-means and k-means are shown below. 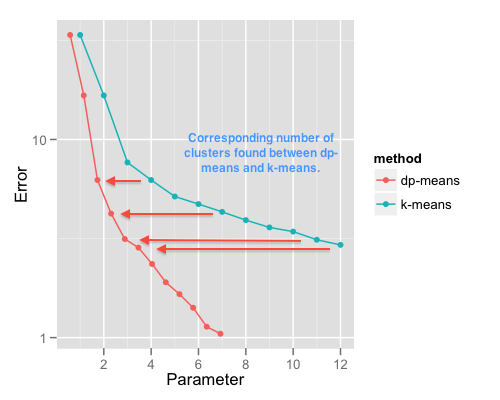 The parameter for k-means is the number of clusters while parameter I am plotting for dp-means is (approximately the reciprocal of the minimum cluster size), so they cannot really be compared. 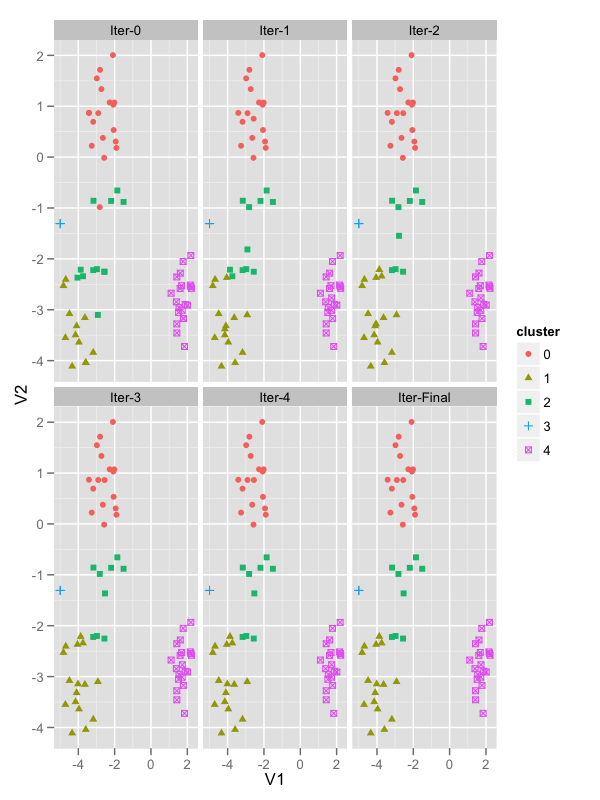 However, in this graph it is easy to see where the number of clusters in dp-means match those in k-means. For dp-means, there are no changes in the error if we set the parameter because no cluster will be larger than a cube containing data. 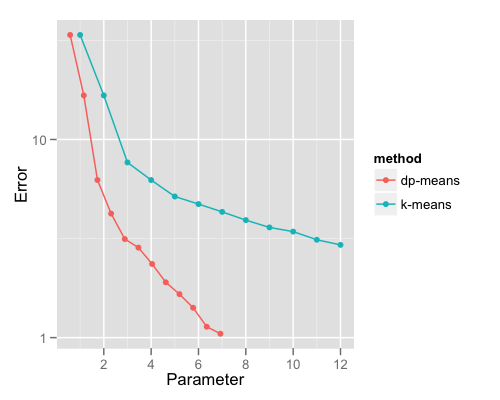 Both k-means and dp-means continue to improve with additional clusters until each sample point is at the center of its own cluster. 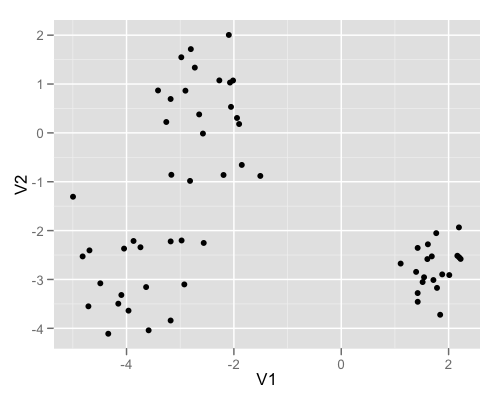 The classic “elbow” at indicates separated clusters found by k-means. Around there is a “lap” (continuing with the body metaphors) for dp-means. Is this a reliable heuristic for training dp-means? It results in 11 clusters. 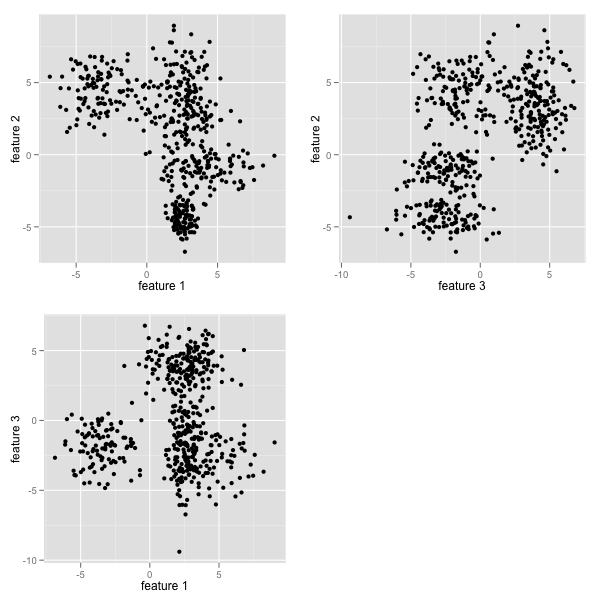 The dp-means algorithm achieves 4 clusters (fairly consistently) around . With respect to parameter, dp-means may come out slightly ahead, but it might be something of a matter of taste. How about the time cost of lower error? I both algorithms we have to search the space for the parameter value and cluster centers that give the minimum error. This means running the algorithm repeatedly, where we achieve a range of local minima on each iteration and choose the lowest value as our best fit. So one way to look at the time-cost of each algorithm is to compare the minimum error for a range of total search iterations. The graphs below plot vs. for dp-means and k-means for 4, 10, and 20 search iterations. Dp-means is slightly more efficient in each case, but only slightly. Conclusion. I will continue to explore dp-means because of the parameter advantages, but the time advantages seem negligible. What do you think? The arrow shows the alignment problem. This is because printing the scales takes up different space, depending on the magnitude (decade, really) of the tick labels. I imagined the easy way to fix this was a custom formatter, so I write a quick bit of code to format the y-tick labels with the right number of leading spaces. Quick and easy, right? Nope. The tick labels use proportionally spaced fonts, so this gets hack gets us closer, but not quite there. In the end, I had to add some artificial padding to the tick label. I ended up adding “8” to the plot with the largest scale and this pushed everything far enough right to get it pretty close. The final results is shown in the first graph of the post. Lesson: A better way to do this is to load the data in column form and make each publisher a type (in a single column) instead of making each publisher its own column. R likes tall data frames. 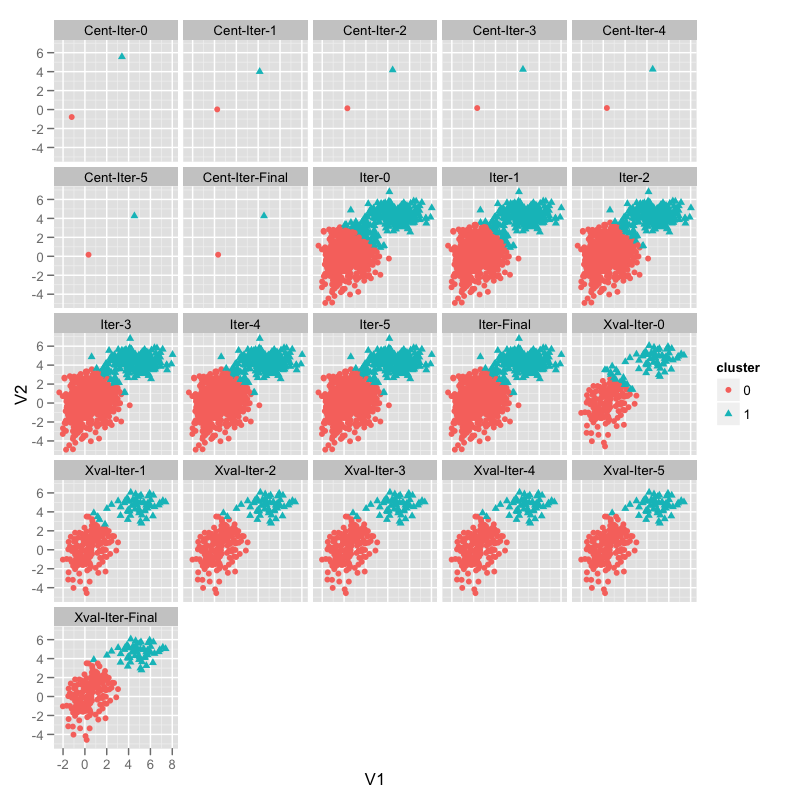 Then a ggplot-generated grid of plots would be aligned perfectly. # Unfortunately, do to proportional spaced fonts?, spaces dont' quite do ti. Add a manual adjustment. Data and code on github. Social media stories evolve according to a particular pattern when surprise events are experience by many social media users at once. An example from Twitter was the earthquake in Oaxaca, MX on 20 March 2012. 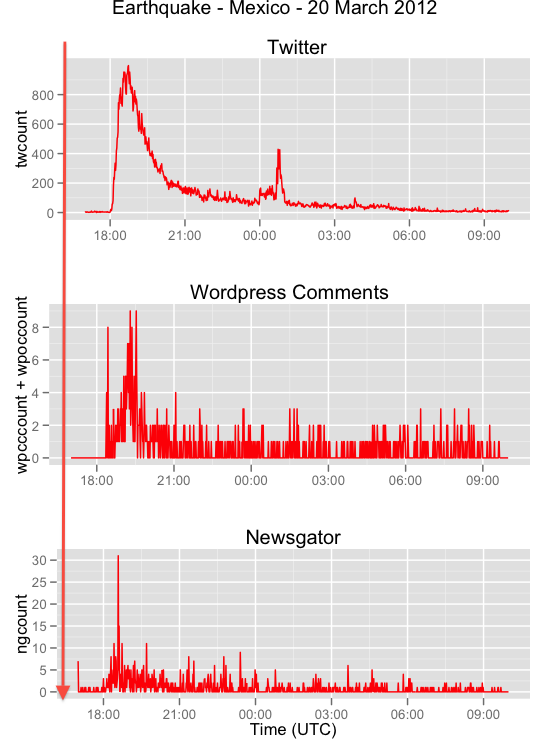 The Twitter volume for terms “quake” and “terremoto” are shown in the figure. Doing this enables consistent comparison of a story across social media publishers as well as comparisons of various stories. A detailed writeup of the pulse parameters and fitting is available at Social Media Pulse and additional discussion of social media firehoses can be found in my Gnip blog series Taming the Social Media Firehose. Of the fast and loose practices in machine learning that I cringe at, throwing one’s favorite tool at high-dimensional data and expecting algorithms to learn to generalize well. 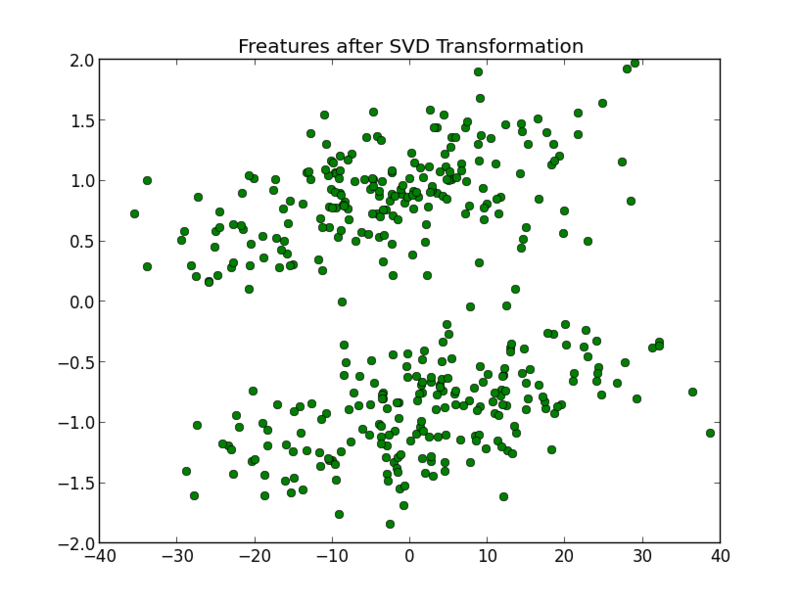 Explore the link between SVD and PCA with some simple data to understand how it works, and build a little bit of intuition on what linear transformation can do for machine learning. Show how this strategy can easily go wrong in order to build intuition about when and how this might work for a real machine learning problem. There is a link to the all of the code at the bottom. To get this output, install IPython, the matplotlib, scipy, numpy, scikits.learn packages, then paste code into a session. Or just edit the script to include the output you want and run from the command line. In : # basis vectors, scaling, rotation) such that X.T = W x S x V_t. In : # and features (3, columns) for our learning examples. In : # Are these equal (to within rounding)? In : # zero to reduce dimension. In : # out to be okay for some machine learning problems. In : # in 2 dim. In : # by either the product of the first two or last two terms. Notice that the transformation made the problem “easier” in that it was solved with 1-d instead of 2-d machine learning and that the two groups appear even more separated after the transformation than before. Lesson 1: Look at all of the dimensions–in this case the smallest variation axis rather than the largest variation axis solves the problem. This is going to catch anyone who blindly applies PCA for machine learning. See Part 3. All original group information lost. Trivial classification, now in 1-d.